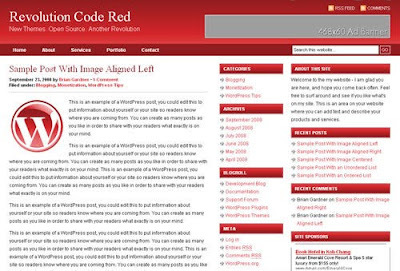 Revolution Code Red is an insanely customizable 3-columns Widget-ready theme created for WordPress. 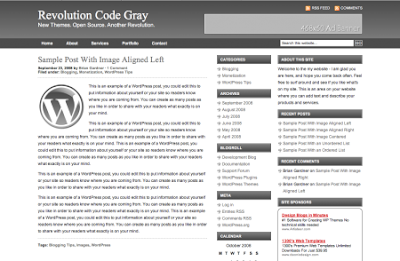 Revolution Code Gray is an insanely customizable 3-columns Widget-ready theme created for WordPress. 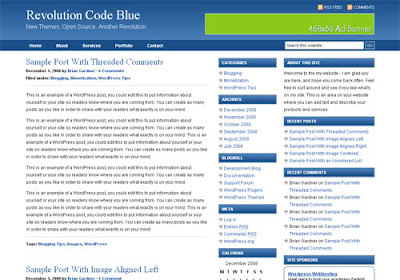 Revolution Code Blue is an insanely customizable 3-columns Widget-ready theme created for WordPress. Therapy is a powerful, feature-rich & flexible personal blog theme with Izuddin’s signature, vibrant and bubbly design style. This wordpress theme showcases your social media profiles neatly, whilst elegantly showcasing your latest blog posts. 12 colour schemes available: check the theme options page. 6 amazing colour schemes available: check the theme options page. 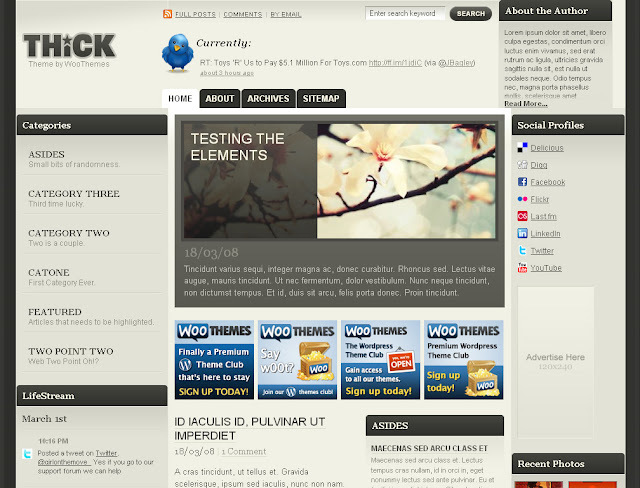 Thick Theme by WooThemes "THiCK"
Thick is a super-personal wordpress theme that focuses on you: the blog owner. With both clean & grunge, dark & light styles, as well as 5 colour schemes for each, you’re sure to find one you like. The theme also includes a bunch of custom widgets to make it a truly unique experience! 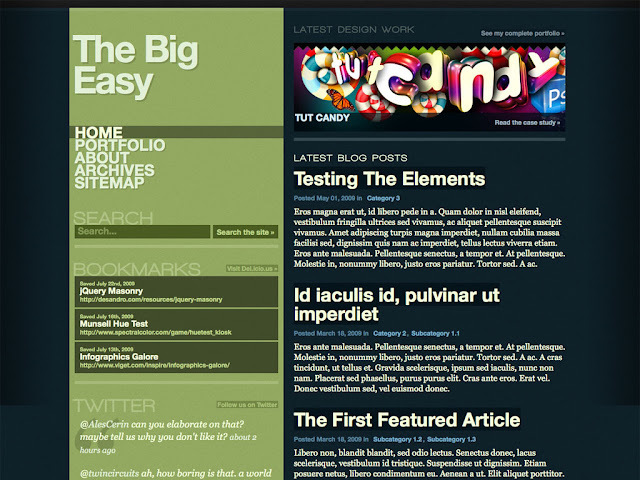 PS: refer to Thick option page in your dashboard to properly configure the theme. 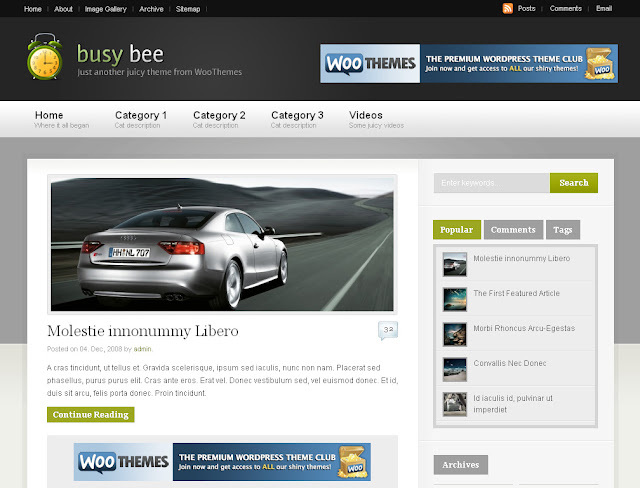 Busy Bee sports a stylish design that will support large amounts of multimedia content. 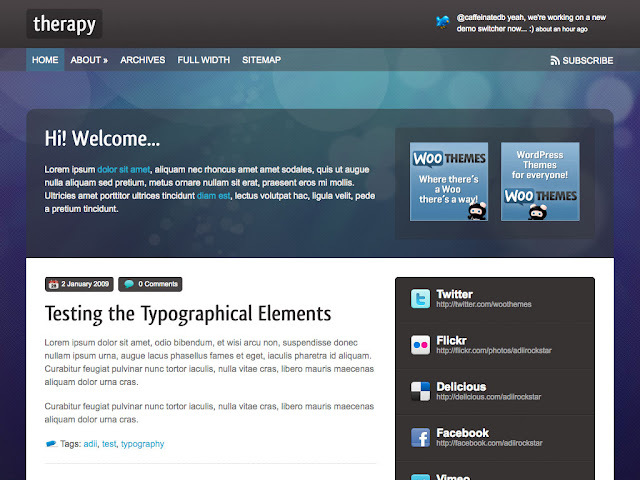 You can definitely use this wordpress theme for a magazine / news site or just for your personal wordpress blog (screenshot). 13 amazing colour schemes: check the theme options page. 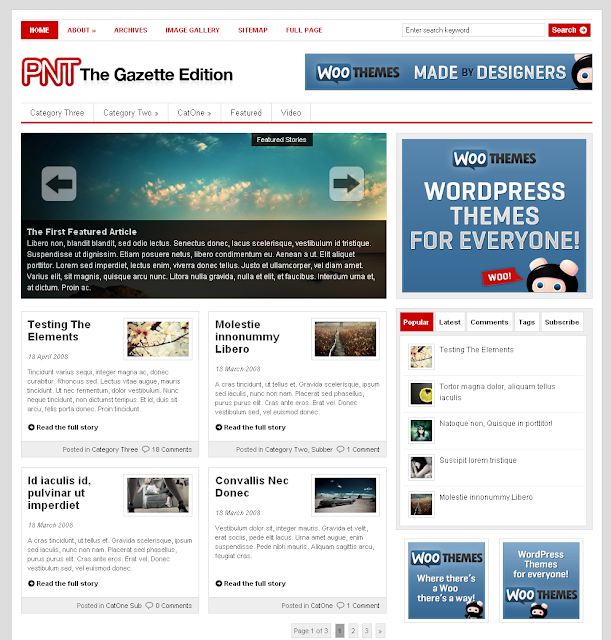 The Gazette Edition is arguably WooThemes' most sophisticated-looking wordpress theme to date, whilst the trendy featured scroller makes it very unique. 4 skins available: check the theme options page.